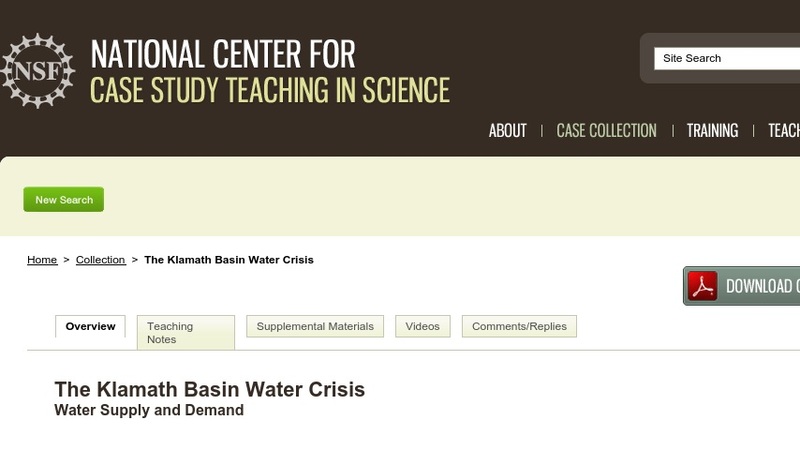 In this case study, students examine global water shortage problems in the context of the current Klamath Basin water crisis. Two main perspectives are addressed, agriculture and the environment, along with multiple other perspectives including Native Americans, hydroelectric dams, and the fishing industry. Students learn about and discuss competing interests for water and analyze and critique scientific data, maps, and graphs. The case was developed for a social sciences track environmental studies course. It could be used in an environmental science, ethics, or policy course as well as in water management or agriculture classes.